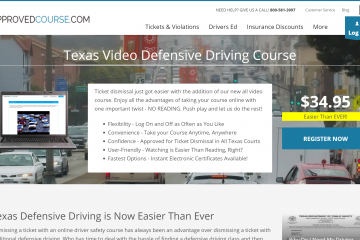 Taking defensive driving has probably never made it to anyone’s bucket list, but the fact remains that, if you drive a car, you may have to sooner or later. Why not make it easy on yourself? After this review, while it won’t reach bucket list level, you may still want to take a course after all. 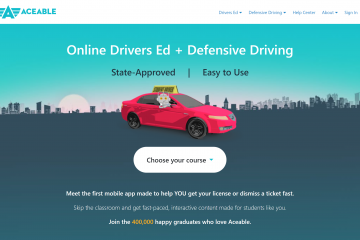 As with their original course, ApprovedCourse.com employs a simple and secure registration process that will have you into the course in a flash. Can I tell you a secret? If you want a free preview of the course, there’s a “Pay Later” option on the registration page. Click there once you have filled out the other information and enjoy your test drive. I just want to say here that I didn’t tell you about this secret shortcut to undermine Approved Course. I just want everyone to get a peek under the hood because I think once you’re in, you’ll stay. Why? Read on. After completing the registration page you will be directed to a Table of Contents for the course. The Table of Contents lists the seven units that make up the course. Each unit name acts as a drop down menu revealing the individual pages you will have to complete for that unit. This will be more important at the end than at the beginning. 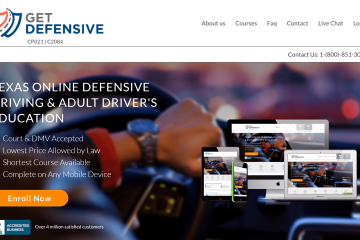 One of the beauties of online defensive driving is not having to finish it at one sitting and the Table of Contents feature makes it easy to pick up where you left off last time. Speaking of picking up where you left off—This course is better than some in that it lets you pick up on whatever device you have handy. The course looks great and coordinates seamlessly on desktop, laptop, tablet or mobile. Once on a page, all you have to do is click play, sit back, and watch. The videos average 5-7 minutes in length. I think it was designed that way so that you never find yourself interrupted in the middle of a 30 minute video with no way to stop without starting over. 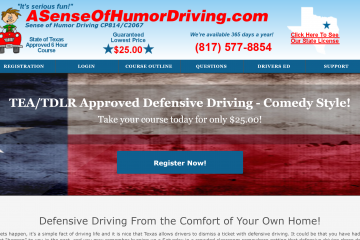 After all, there’s all kinds of life that can happen while you’re taking defensive driving. The videos are a blend of live action, animations and narrated graphics. The frequent changes of style work together nicely to keep you engaged. All of the material is stitched together by the course’s “host,” John. This is a guy you’ll really grow to appreciate for reasons that will become clear in a minute. 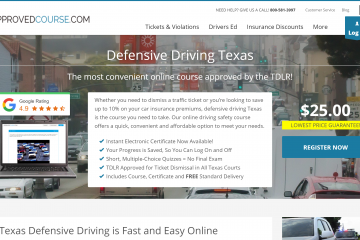 One of the common features of most online defensive driving courses is the presence of a final exam. I think this really takes away from the allure of being able to finish at your own pace. After all, how can you be expected to pass a test over information you haven’t seen in a month? Some courses address this problem by substituting unit quizzes in place of a final exam. This is what Approved Course does, but with a twist I haven’t seen anywhere else. Right before every quiz, Host John shows up and tells you pretty much exactly what you’ll need to know to pass with flying colors. 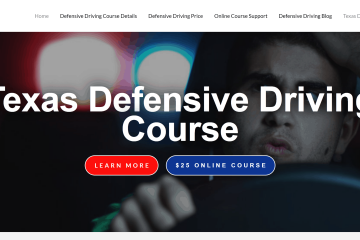 If you’re looking for defensive driving answers, John’s your guy. Told you he’d be appreciated! With nothing to do but watch videos and pass short, multiple choice quizzes a guy has given you the answers to, you may finish the course with the same impression I had. I thought that the course felt way shorter than advertised and, hey, that’s a good thing. Something else that will feel shorter than advertised is the amount of time you’ll be waiting for your completion certificate. 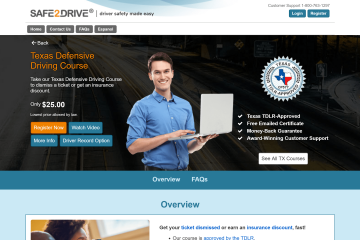 Twenty-one days from course completion is the state-mandated window for course certificate delivery. ApprovedCourse.com’s exceptional customer service team has always laughed at that standard and average a 3-4 day turn around, even using USPS standard delivery. If that’s not fast enough to keep your court happy, they can email your certificate. That way there’s nothing between you and being ticket-free besides, well, you. I’ve seen a lot of courses and this one is among the best. It’s easy to complete, has no final exam and you pass by acing short quizzes they practically give you the answers to right before you take them. Then, when it’s all over, no other company can get you your certificate faster. 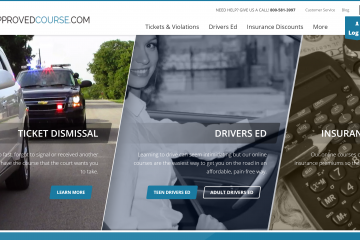 You really can’t lose by choosing ApprovedCourse.com. Two words—NO READING! Nothing to do but sit back, watch videos, pass easy quizzes and get your certificate in no time.